Krampouz 16 Inch Professional Crepe Maker from Eurodib. 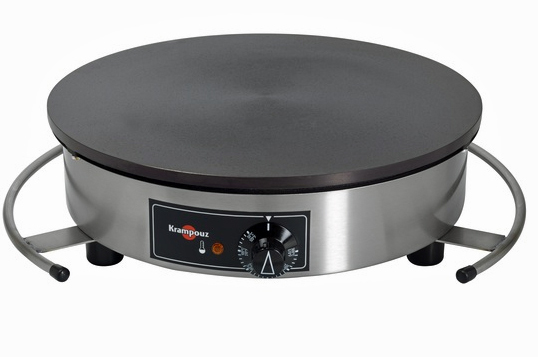 Manufactured by Krampouz in Brittany, France - the inventor of the ORIGINAL CREPE GRIDDLE. These crepe machines offer quality and insurmountable reliability. Krampouz provides the most diverse and attractive line of crepe machines available in the market today. Perfect for breakfast and brunch buffets. European styling. Cast iron griddle, stainless steel frame. Made in France.